It was quite the circuitous route to get there over the last few months, but we have the best two teams in NWSL playing in what should be a classic final Saturday afternoon in Portland. For North Carolina, the road went pretty much how they play: straight, aggressive, and fast. 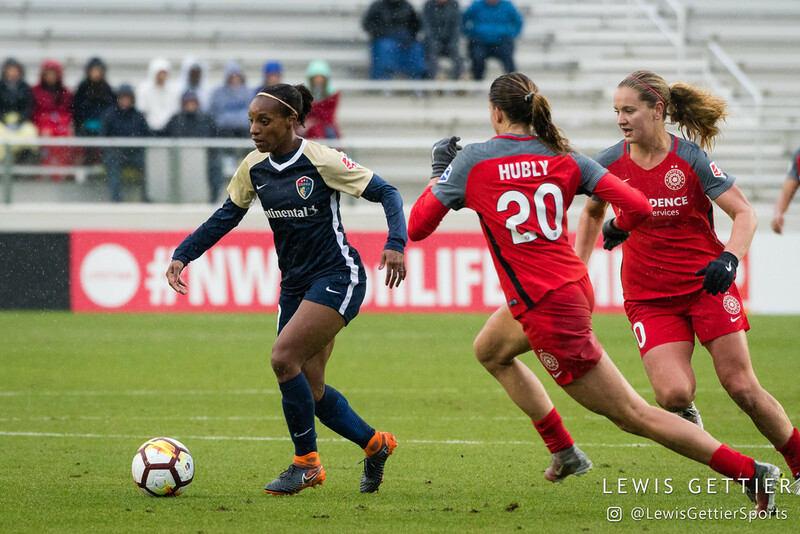 We knew very early in the season that the Courage weren’t going to be caught for the NWSL Shield, just as we knew by the halfway point of the 2017 campaign that they weren’t, either. Most didn’t realize, however, that the Courage would go 27 matches in all competitions with just a single loss (in stoppage time against Utah), a run that included two victories (beating Lyon in the final) down several starters in the inaugural Women’s International Champions Cup. Lost a bit has been how they got there, starting off as a bit of an anomaly in Western New York three years ago with almost no recognizable names to a juggernaut with internationals (including a few with the USWNT) at almost every position, even though the roster has pretty much remained intact over that span. Meanwhile Portland started off slow, partly due to injuries and partly due to not finding any consistency on either end, most notably in a four-day span in late June where they had to settle for a home draw against Sky Blue (and almost loss) and then were outplayed badly by Seattle even though the final ended 1-0. There was little talk of Lindsey Horan winning the MVP then, but there was plenty about the Thorns possibly missing the postseason, which would be somewhat embarrassing for a franchise with the support they enjoy. 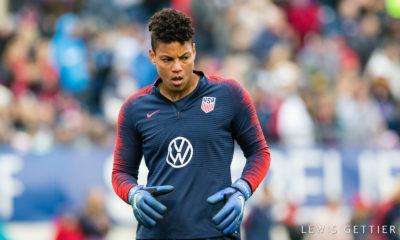 They’ve lost only once since, of course, with Horan – even primarily in a holding midfield role – being one of the league’s most dominant offensive forces in addition to her other jobs on the field. Adrianna Franch has made up for any defensive miscues the Thorns may experience, Tobin Heath is finally healthy, and Mark Parsons has done what he does best: get his team better over the course of the season, fitting in important players such as Celeste Boureille around his stars to make a cohesive unit with a mix that others have failed at. So here we are, one game for all the 2018 NWSL marbles and with the best two teams the league has to offer to compete for it. Seattle actually had the better of the play before Jasmyne Spencer volleyed home a Megan Rapinoe free kick that banged off the crossbar midway through the first half. 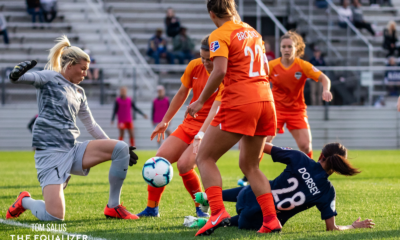 The Reign actually had a couple of chances to make it 2-0 as the first half marched on, but eventually world-class quality–Christine Sinclair to Caitlin Foord to Lindsey Horan to Tobin Heath had Portland level at the half. And as the second half wore on, Portland was more likely to get the winner (they actually did once but it was ruled offside), and it was certainly no surprise it was Horan, just as it wouldn’t be a shock if she did it again this Saturday. Can North Carolina keep pushing in the second half this weekend? We shall see. Will health be a factor? Emily Sonnett left the game injured late, and didn’t have a great semifinal anyway (including getting booked in the 27th minute). It appears as if she will play, but can Adrianna Franch keep a constant barrage of North Carolina shots out Saturday? Seattle finished with 16 shots and had 56% possession, and while neither number means everything, Portland did concede 28 goals this season and is going to have to come up with a herculean effort to shut the Courage down. While North Carolina probably earned a break or two by having to fly to Portland for its “home” game (which was absolutely the correct call from the league and should have been made days before it was), there is a decent argument that they were outplayed by Chicago in Tuesday’s semifinal. Yuki Nagasato hit a crossbar and Sam Kerr bounced one off the post early on and the Red Stars looked somewhat likely to equalize in the second half before Sam Mewis finished things off with a world-class goal. 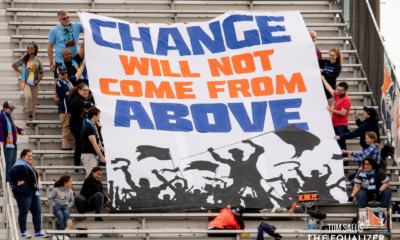 Of course, Chicago – now fully healthy – is a pretty good team with an in-form Sam Kerr as well, so perhaps the credit has to go to them as well. Alas, it won’t get them anything but a good seat to Saturday’s game. An early strike from @J_Mac1422 and a late golazo from @sammymewy booked @TheNCCourage‘s trip back to the #NWSLChampionship. North Carolina has survived without McCall Zerboni, but one thing it may have to deal with is a lack of options off its bench. Paul Riley did not make a sub until the 87th minute when Kristen Hamilton replaced Debinha and made only one more when Heather O’Reilly entered for Merritt Mathias in the 89th. Will Riley pull the trigger earlier on Saturday with his team’s legs possibly giving in the second half in front of a hostile crowd? Can adrenaline get them through? It looked at kickoff as no one was at Providence Park for this semifinal, but it was quickly explained the side visible to television was empty due to weeknight construction. In the end, a crowd of 4,646 showed up for a neutral site game announced less than a week before it was played. It doesn’t sound like much, but think of recent crowds in places such as Kansas City and New Jersey (or even Houston, Orlando, or Chicago) for reference. The league should have acted much, much faster when a hurricane was headed toward North Carolina, but Portland stepped up as it always does. Did we just watch the best NWSL game ever?